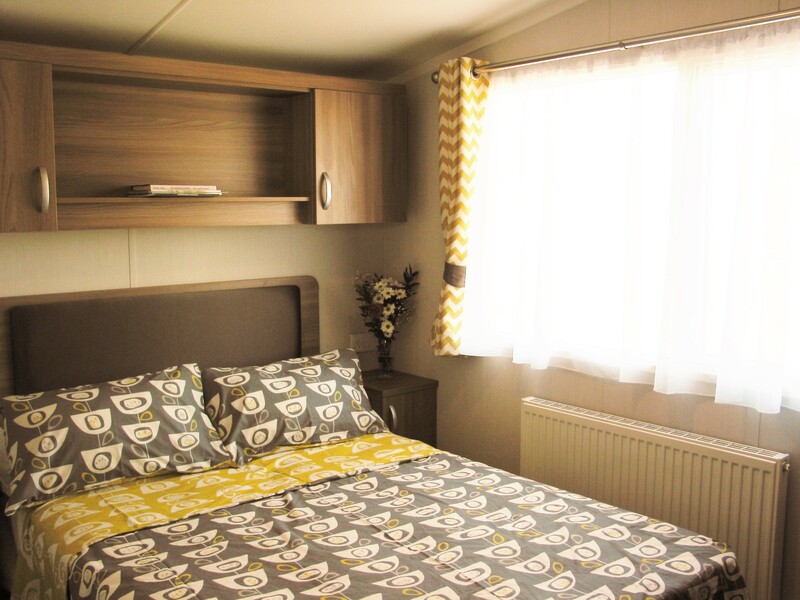 Caerfai Bay Superior Plus new as of 2016 is larger (12″ x 38″) than our superior caravans and offers a spacious, light, modern design with increased living and sleeping space in which to relax and unwind. 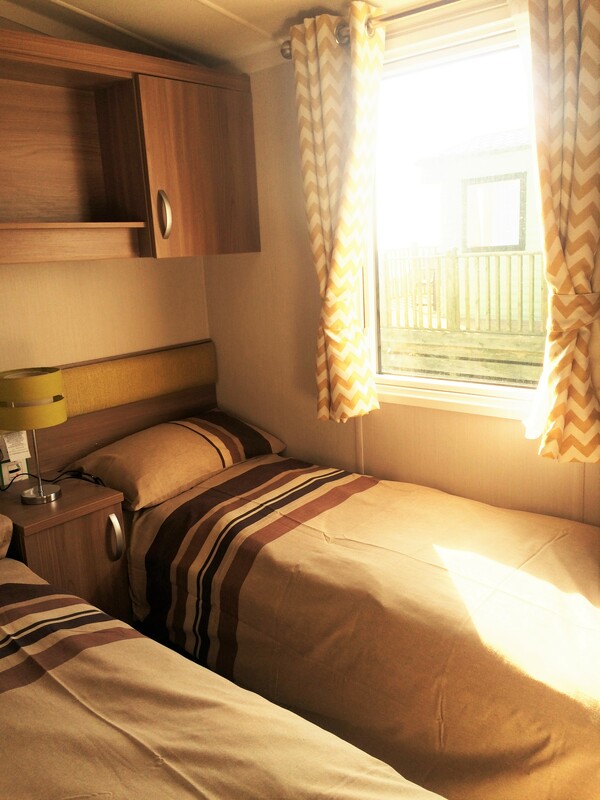 Our Superior Plus caravan is situated at the front of the Park offering an outstanding unrestricted view of the sea across St Brides Bay. 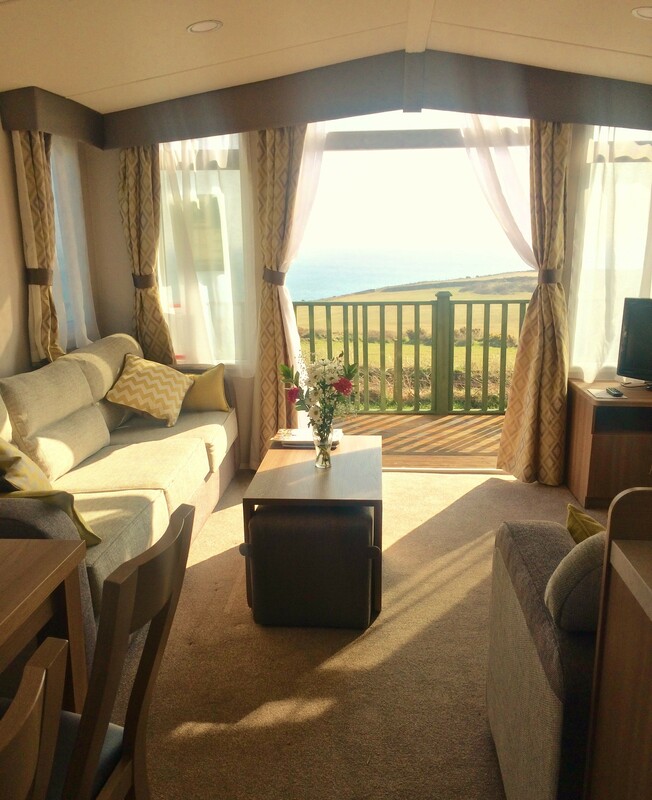 Full length patio doors at the front of the caravan open onto a spacious decked balcony where you and your family can enjoy magnificent views of the coastline, sit, chat, eat and relax. 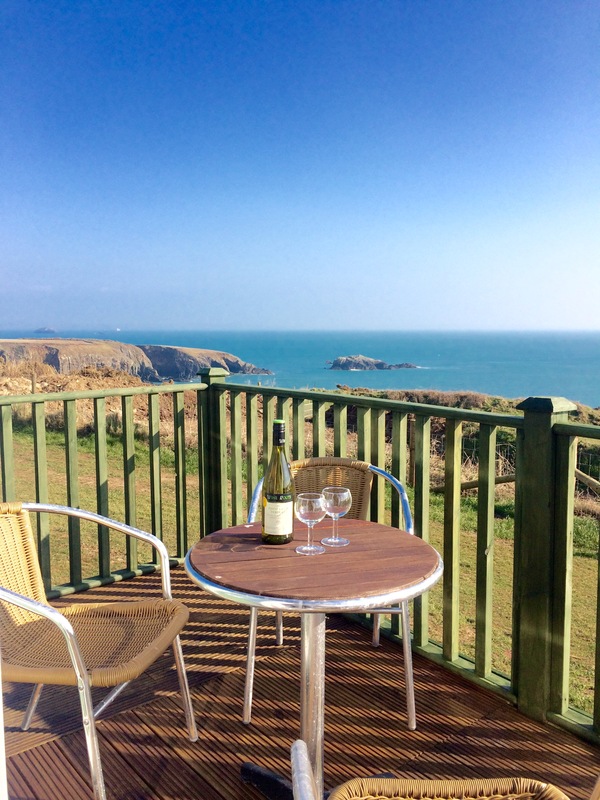 If you can tear yourself away from the view, it is only a few minutes’ walk to Caerfai Bay sandy bathing beach or into St Davids, the smallest city in the UK. 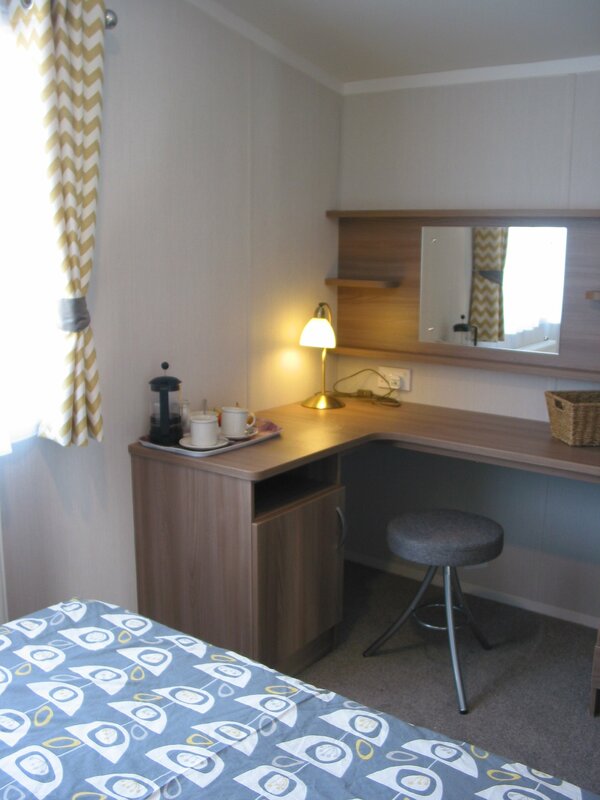 Spacious master double bedroom with fitted wardrobe, drawers, vanity area and en-suite toilet and basin. 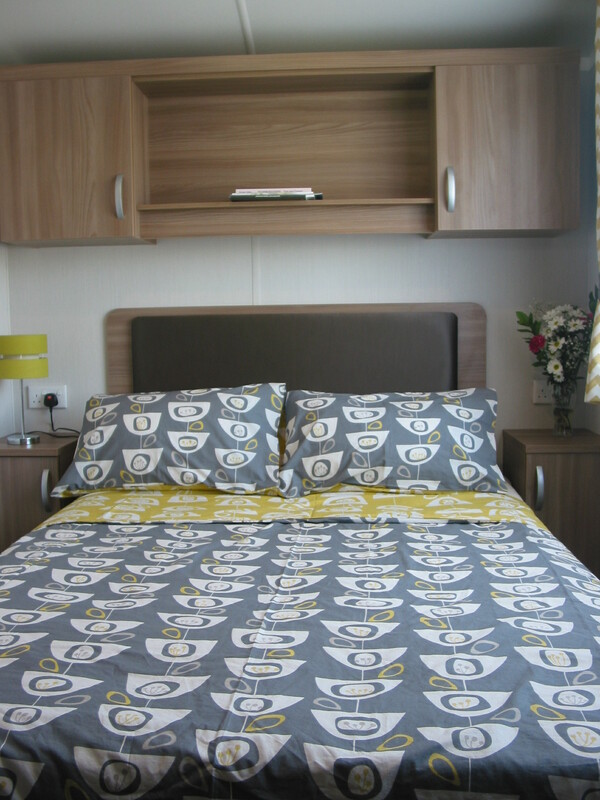 Two twin bedrooms which can be made into double beds if required. 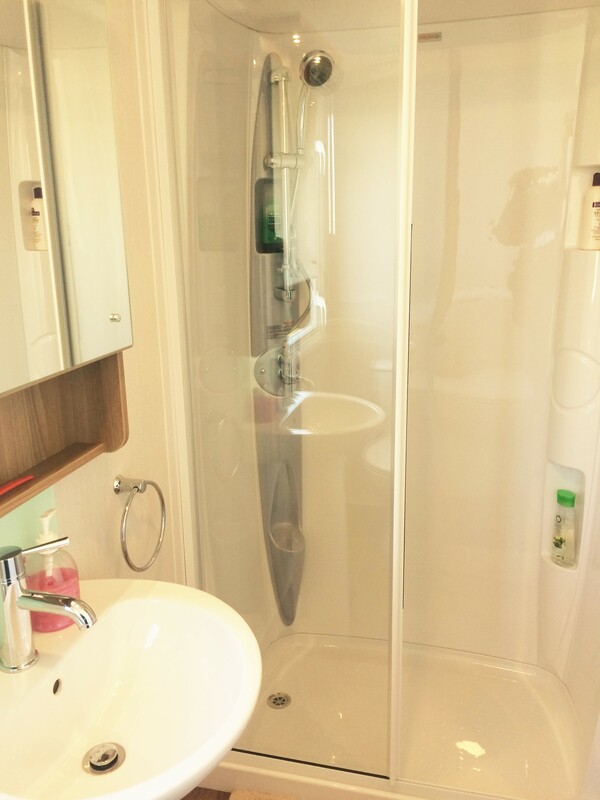 Main bathroom with large shower cubicle with glass sliding door, toilet and basin. 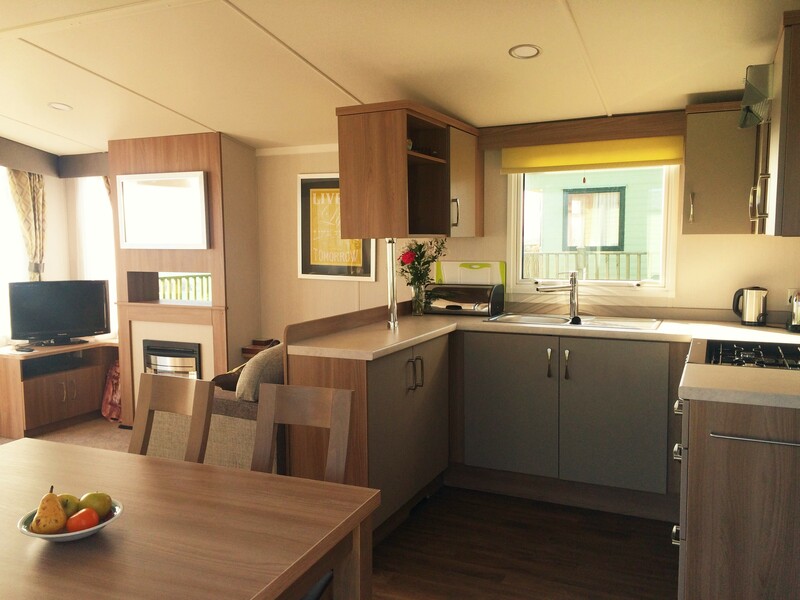 Fully equipped kitchen (cutlery, crockery, full size cooker, integrated fridge/freezer, microwave, refrigerator, kettle). 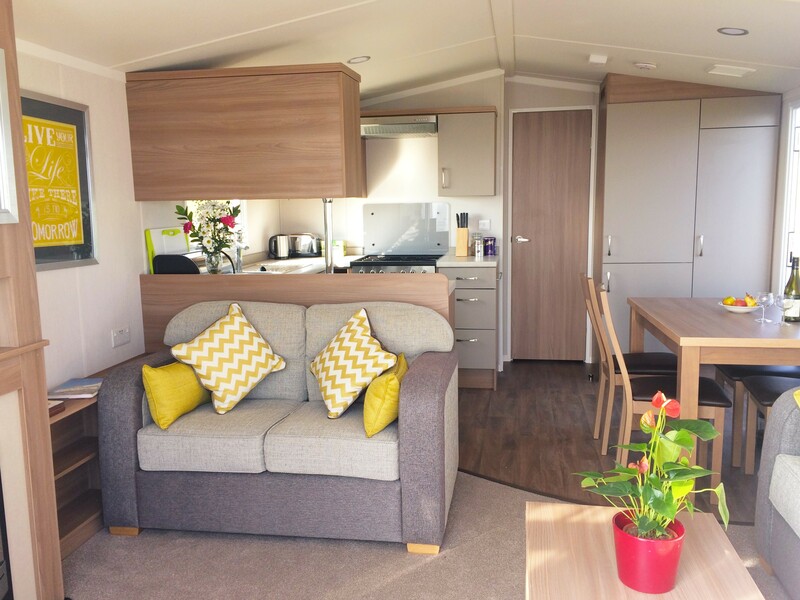 Lounge with digital TV, DVD player and gas fire to cosy up or “cwtch” during the wild Welsh evenings. 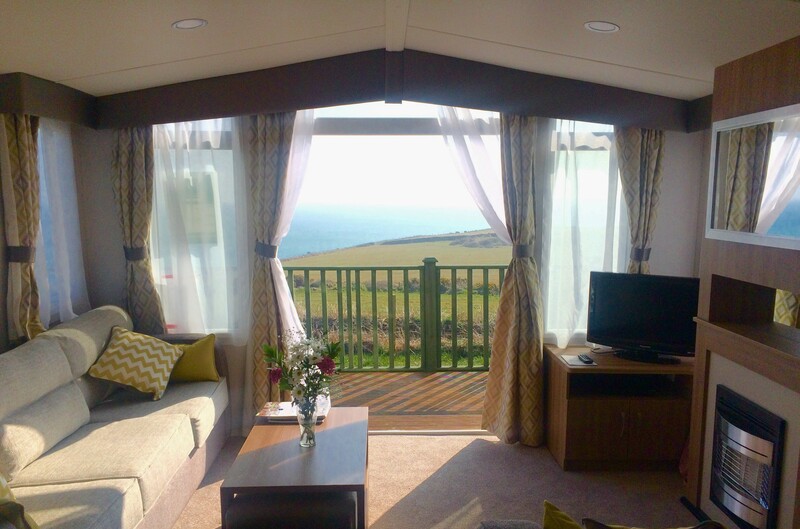 Patio doors to the front opening onto decked area with spectacular views of the Pembrokeshire coastline during the day. A star gazers delight at night.